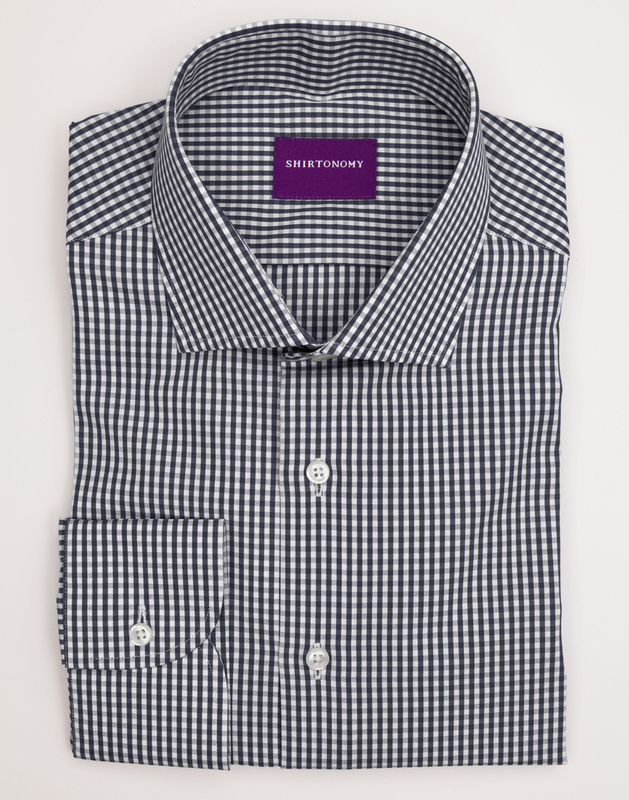 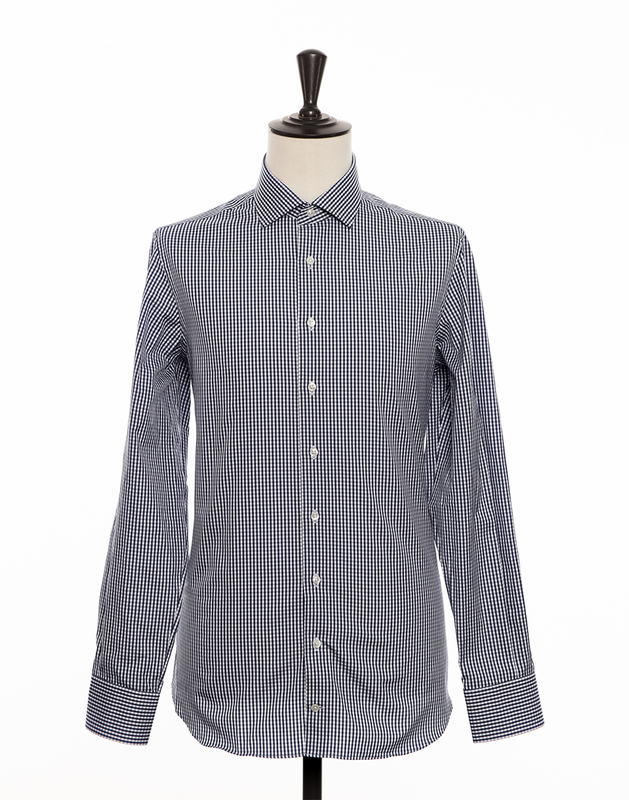 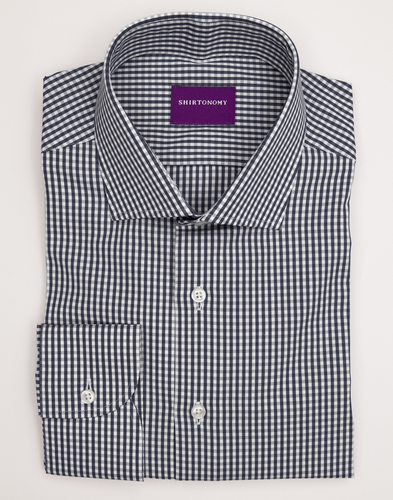 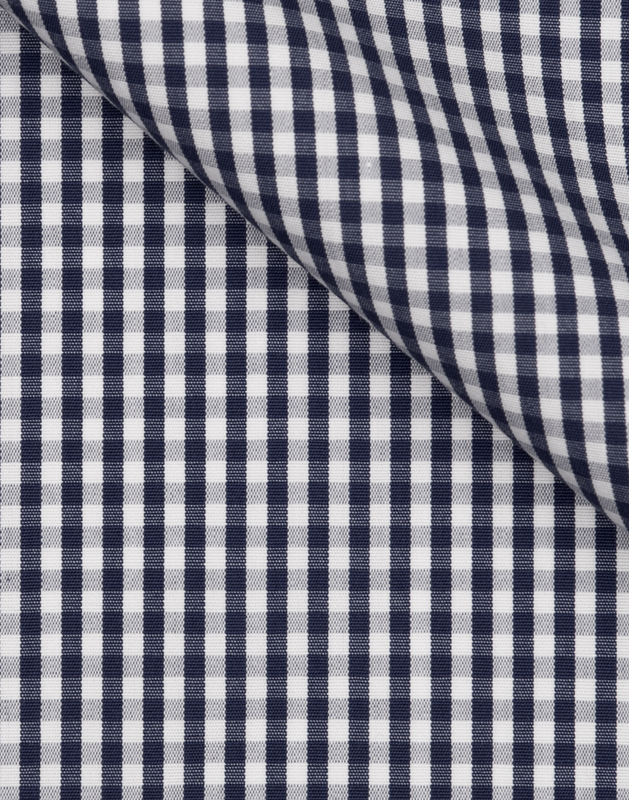 The marine blue gingham-pattern is a favourite outside of office hours. 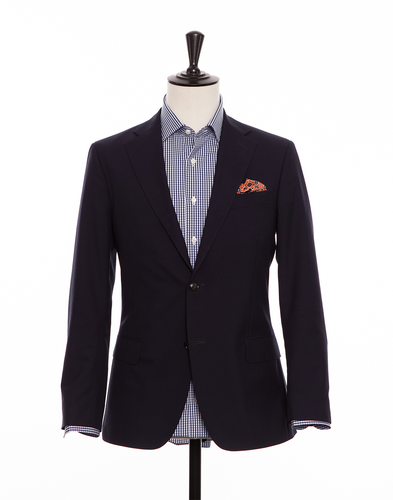 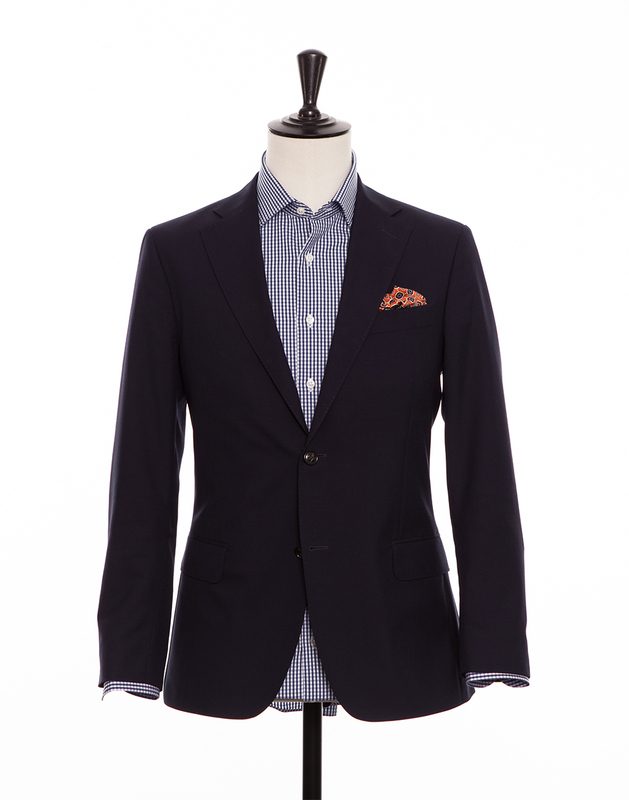 The fabrics pattern and dark colors make it most suitable in a more informal outfit. 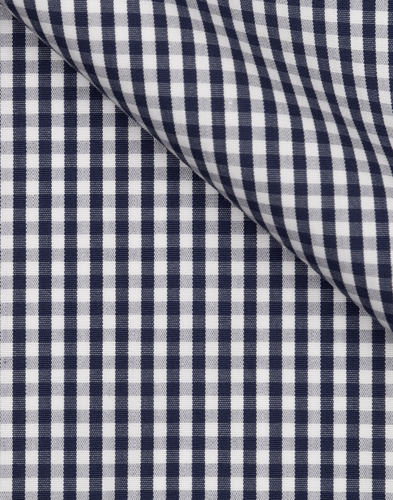 The fabric is a poplin weave and made in Portugal.